A seductive unisex Woody-Floral extrait. 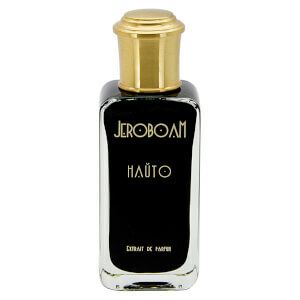 A sensual unisex Oriental-Floral extrait. An irresistible unisex Oriental extrait. An addictive unisex Orienta extrait. 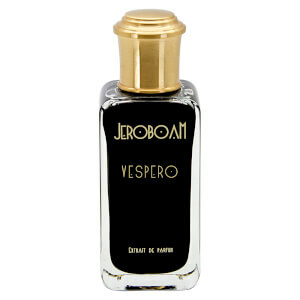 A sensual unisex Floral extrait. A daring unisex Oriental-Woody extrait. A masculine unisex Woody-Amber extrait. Jeroboam is a dynamic fusion of tradition and modernism from Jovoy founder, François Henin, and renowned perfumer Vanina Muracciole. Each of the eight perfume extraits in this exclusive range is based on a proprietary and breathtaking blend of enigmatic musks. After a lifetime of working in fragrance, François feared that he had become anosmic to musk. When he asked Vanina to isolate some musks for him, to experiment with them and share her findings with him, he had no idea that what she would create would be the origin of a whole new olfactory universe! Choosing to name the fragrances in Esperanto to emphasize their universality, Vanina has created eight unforgettable scents. The small bottles makes ideal everyday accessories for the urban nomads we’ve all become. The extraits themselves are a Lingvo Internacia (international language) in the art of seduction, an ideal concentration for those possessed of a flirtatious, provocative nature and strong character, for they understand that perfume is a weapon. They remind us that, sometimes, fragrance is infinitely more efficient than words.